Target Audience: 18+ science-fiction and horror lovers who crave for compelling action-rpg gameplay mixed with tobasco inducing fear of narrative. Released in 1999, System Shock 2 (PC) took first person shooters by storm with its engaging narrative, solid RPG mechanics and fear inducing gameplay. It also came out as a fierce competitor to previously crowned gem of a game Half-Life. Thanks to excellent sound design with upbeat fast-paced music, the atmosphere comes alive like no other. 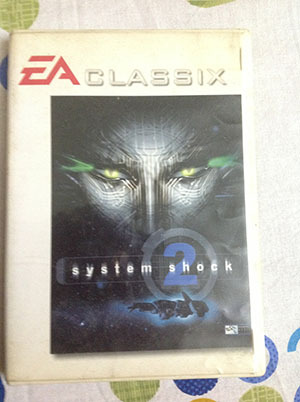 The game also brings to life one of the most beloved antagonist in a video game, SHODAN with exceptional voice over. Get ready to experience fear like never before! Corridors of danger, ambushes, cybernetic madness and alienating existence is graciously sprinkled all over the levels. The game is an assault on your senses… in a manic way. Terrifyingly great. If you prefer that sort of feeling. Do not expect top-notch shooting mechanics in this game. This is no Quake. What you do get is free-form character progression, strong narrative experience and consistent sense of danger with serviceable shooting and melee mechanics. In case you have not already played this game, it’s about time! Fortunately, the game is finally available at GoG and will run mighty fine on modern PCs.